The fungus Sclerotinia sclerotiorum, which causes stem rot, is a major economic disease in canola that impacts the crop across all of Canada’s growing regions. No true genetic resistance has yet been found for sclerotinia New technologies offer hope for sclerotinia control. 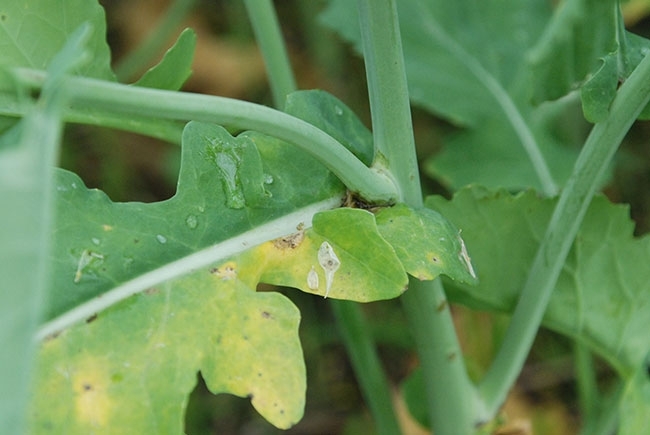 According to Mark Belmonte, associate head and associate professor in the department of biological sciences at the University of Manitoba, sclerotinia is a challenging disease for canola researchers and breeders because no true genetic resistance has yet been found in the brassica germplasm. 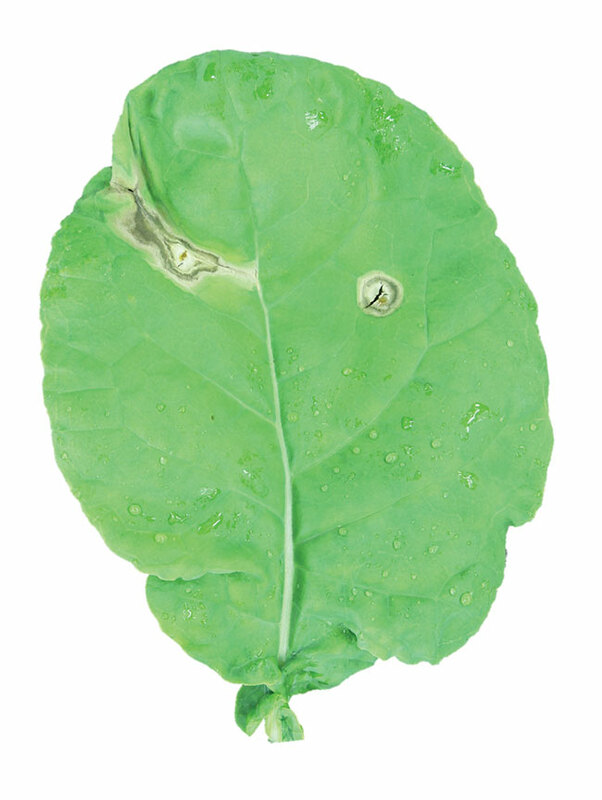 In addition, the disease can be difficult to control using traditional fungicides. But there are new controls on the horizon. 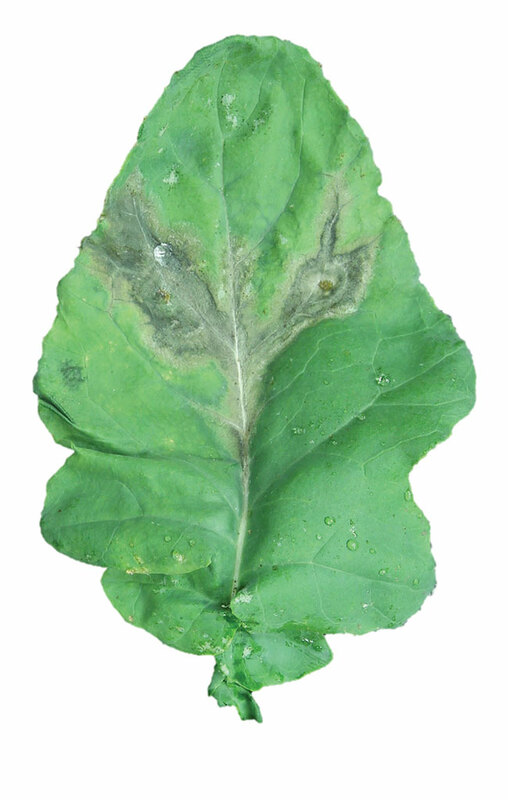 Belmonte’s lab, in collaboration with Steve Whyard, associate professor in the department of biological sciences, is working on the development of a foliar fungicide that will use a natural biological mechanism to fight sclerotinia. That mechanism is called RNA interference, or RNAi, and if most Canadian producers don’t yet know the term, they will very soon. RNAi-based pest control technologies are currently in the pipeline for a wide range of economic pests and diseases impacting a range of crops, including Colorado potato beetle, flea beetle and bollworm, as well as nematodes, viral diseases, mildews and rusts. RNAi works by exploiting the natural ability of the fungus to destroy viral RNA. Researchers can match the RNA sequence of an RNAi trigger to essential genes in the fungus itself, “silencing” those genes. RNAi triggers are composed of double-stranded RNA (dsRNA), which can either be expressed by the plant itself, if it is genetically modified to do so, or applied topically to a plant’s leaves, via a spray for example. Belmonte and his lab, together with Whyard, and including MSc student Phil Walker and PhD student Nick Wytinck, are working on both approaches in order to attract the technology to different markets. North American and Australian markets are relatively open to genetic modification technologies, but many more markets – in Europe and Asia, for example – are still closed to GM technologies. For this reason, the foliar fungicide approach, in general terms, has more currency. This September, the Belmonte-Whyard RNAi research group received $442,714 in cluster funding through the Canola Council of Canada for a three-year grant investigating the protection of canola from pathogenic fungi using RNAi technologies. Their work on the grant will focus on the development of a foliar fungicide. One of the acknowledged benefits of RNAi is its specificity: because RNAi is built on genetic sequences unique to targeted organisms, there is theoretically very little chance of off-target impacts. But a great deal of effort must go into ensuring this, Belmonte says. The lab’s first step will be to take a bioinformatics or computational approach to making sure that the sequences they are targeting are in fact unique to sclerotinia fungi, he says, by checking them against all publically available sequences in the public database. Not all potentially targeted organisms are sequenced, however, so a large part of the work will involve sequencing other likely fungi found in Western Canada, in order to make sure that these fungi – many of which are potentially beneficial –are not caught in the crossfire. Belmonte’s team will follow this with lab work testing RNAi molecules for off-target impacts on insects and other fungi. So far, preliminary modeling has shown no off-target impacts. “That’s really important to us – to make sure the molecules are doing what they’re supposed to be doing,” he says. In past years, a key difficulty impeding the potential success of RNAi-based technologies has been the problem of mass-producing these molecules at scale. But Belmonte says his lab is engaging with industry partners who have the capability to mass-produce RNAi molecules at a low cost using “cell-free” methods. These companies are going beyond the discovery phase with their work and can produce RNAi material at a scale “that would be economically advantageous to the grower,” he says. It’s also a priority to introduce RNAi controls that are compatible with existing spray equipment and other products producers rely on. In greenhouse trials, Belmonte’s lab is testing RNAi-based sprays at average spray timing – the 30 per cent bloom stage, when sclerotinia typically starts to show up in the field. “We’re working really hard and companies are investing heavily in this type of technology because they see that there’s so much benefit to the grower, to put another tool in their toolbox,” he says. Curtis Rempel, vice-president of crop production and innovation for the Canola Council of Canada, says RNAi technologies would be really welcome additions to the management toolkit. “They have enormous promise to be very targeted interventions with no off-target effects and provide management options that have potential to be environmentally friendly,” he says. Rempel cautions that the regulatory landscape is still an unknown, as no RNAi-based products have yet been registered by Health Canada’s Pest Management Regulatory Agency. But the Canola Council urges the scientific community and federal regulators to do their due diligence in evaluating the benefits versus risks of new RNAi products. “We need to do our due diligence as a regulatory community and as consumers but we shouldn’t throw something out that has promise to better our society,” Rempel says. Belmonte says the RNAi team is working with regulatory agencies at every step to ascertain what kind of experiments and field tests are needed in order to bring the technology to market. “My hope is that we’d be able to get this type of technology to growers within the next five years,” Belmonte says.